Between 1984 and 1989 Fred Fellows was the Hesston Corporation's National Finalists Rodeo Artist and during this time he created many paintings, belt buckles and sculptures with Rodeo themes. 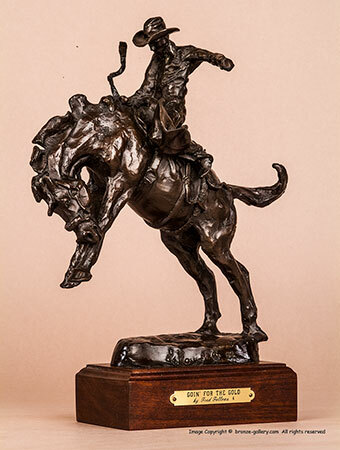 The bronze sculptures from these Hesston Special Editions were cast in small numbers and were presented to Hesston dealers who had high volume sales. They were prized by these dealers and rarely come up for sale. 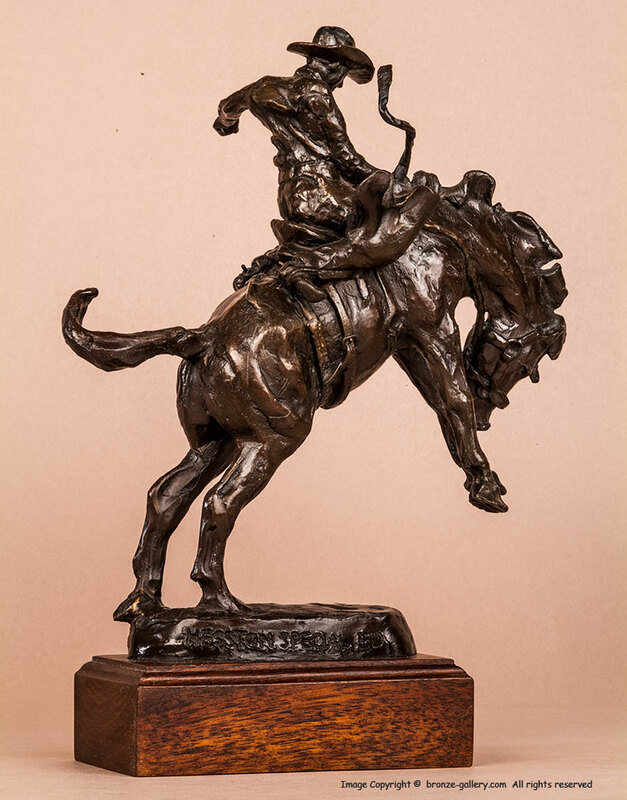 This bronze shows the action and drama of a rodeo cowboy trying to win in his competition of riding a bucking horse. Titled "Goin' For The Gold" it illustrates the old Western theme of the battle between a cowboy and a bronc. Mounted on the original walnut wood base with a brass title plaque, the bronze is signed and dated 1984, with cast number 287 of 500 and Hesston Special Edition written on the base.